Data Doctor’s Wiping Software permanently wipes out your entire hard disk or selected files from your removable or non-removable storage devices to maintain the system privacy. 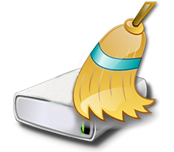 Data Wiping Utility cleans records of offline and online internet activities including administrator temporary file, system registry traces and recently used Microsoft office documents using disk erasing algorithms. Software remove traces of applications and system files including used/unused hard disk space, internet files, recently used applications, etc. Software ensures unrecoverable elimination of your deleted files. Facilitate to switch from non-destructive wiping to destructive wiping mode. Utility eliminates passwords, recently deleted documents list from your computer. 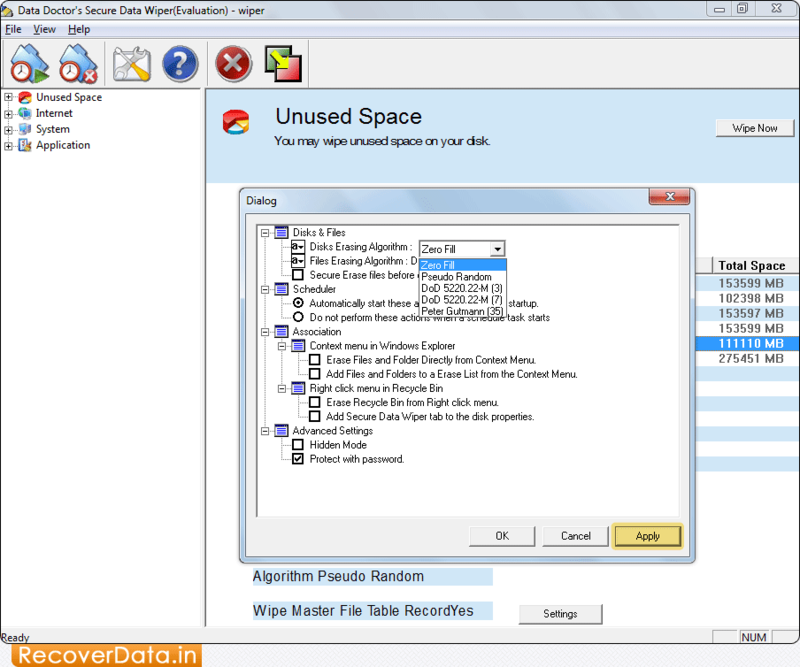 Uses disk erasing algorithms for complete data wiping of your confidential files on your Laptop, Desktop system.